So, everyone keeps talking about how the GSC generation was just MIND-BLOWING, and how even with DP out, it's still absolutely phenomenal, and rivals DP for most pwnsome Pokemon game evar. My question, as I never got to play GSC, is what made the games so great? it was the first sequel of games. it added enough new features to make it seem new but not to make in difficult and confusing. it just brought so many new things to the pokemon world, with very little flaws. another thing which makes gsc stick out is being able to travel to a past region. i loved being able to go back to kanto and see all the towns and gym leaders and how they've changed. even through gsc kanto wasn't to great it was still fun to play. The gsc story also somewhat went along with the RBY. Team Rocket talks about how some kid destroyed Team Rocket three years ago. You get to see that you actually made a diffrence in the world in RBY. And battling Gary as a gym leader and Ash as the final trainer was awesome to. May I add that also, many new awesome pokemon were added, and two new types were brought into play. It was like a sequel that wasn't too repetitive. For example, it's the only pokémon game not to have rock as its first gym. Another key thing is the fact that you can go into Kanto after you finish Johto. It's really special for me because it was probably the first video game I had all to myself. Lol, same here. My brothers used every video game that was supposed to me just mine until the pokemon games came out. 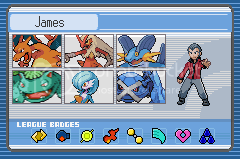 I love it when games tie together, like how Jasmine was in DP in Sunnyshore, and Prof. Oak came into Sandgem. When it comes to Pokemon games, you can't do much better than G/S/C. They introduced a lot of new things. Day/night, calling, pokemon running around, plus how you get to go into Kanto is pretty cool. Yeah, this is all true. Crystal Version was the very first video game I had ever owned, and I was blown away when I first played it. They had everything I could have dreamed of, and it was fabulous. I liked it because it was so much easier, and there were so many things you could do. But, having played Ruby first, i was reallllly dissapointed with the GFX and lack of running shoes. OFF TOPIC: I'm back from the dead. Ill be a crazy poster nows. My only problem was the music was to cheery (The RBY music was incredible, the E4 fights especially, they remind me a bit of in School's Out, the No More Pencils No More Books part) and GSC was too easy, I like games stacked against you, but other than that it was perfect, no, if it had Missingno and all the Kanto gym leaders were as tougher than the E4 (which would make sense since it knows you beat the E4 WITHOUT a pokecenter and they're all in the 40s, then why are the gyms after it late 20s and 30s?) But yeah, almost perfect. Last edited by bobashotmace on Wed Jun 27, 2007 9:01 am, edited 1 time in total. Well, for me it was because the Johto pokemon were the most vibrant and exotic. 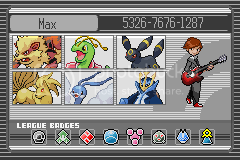 all some of my most favorite pokemon, and all are from Johto. I personally wished they'd do an FR/LG deal with Johto...but that would be too much to hope for. GSC had new pokemon, but none (or very few) were rip-offs, and most of them added an interesting element to the game. There's enough in the game to keep you playing for a long time, but not so much that you are overwhelmed and confused. Perfect balance! Because that comment added to the discussion. Obviously, this stuff gets improved on every gen, but the idea was planted in GSC. Like, the PokeNav and Poketch of today was origoinally PokeGear. Battle Tower of R/S/D/P was designed around Crystal's Battle Tower, anf Battle FRontier just took it to a nwe level. Weather was introduced here, though there was only Rain, Sunny, and Sandstorm, and they had to be brought in by their respective moves. And of course, what would anyone do without breeding? Furret is not a rip-off Pokemon! My Chibi kicks total arse in the E4! It knows Thunder Punch, Ice Punch, Fire Punch, and Surf! I wouldn't consider any of those pokemon rip-offs, something tells me there was a rip-off in GSC but I can't think of it and its not any of those, and just because a pokemon is awesome doesn't mean its not a rip-off, he meant rip-off in the sense that the idea for that pokemon was stolen from an earlier one, not in the sense that you were cheated out of something by getting/training it. I was actually basing that statement on the fact that there are always, for example, a rodent-like poke in every gen (raticate, furret, linnune, bibarel), and its always a Normal type, or theres always a Normal/flying bird pokemon (pidgeot, noctowl, swellow, staraptor). Etcetera. What made GSC the best generation to me was the memories I have of playing it. Even back in 2000, I remember begging my mom for Silver Version because I enjoyed Yellow Version so much. After getting the game on Christmas, I saw what an improvement over the last generation it was. Like mentioned before, it had time events, a much larger color pallete than Yellow (my first pokemon game), great new pokemon, etc. The next generation was like a giant step backwards, behind the RBY generation. The "new" generation didn't have time based events. It had the worst pokemon ever. No compatibility to Stadium 2 (it was compatible to Colosseum and XD, but any sane person knows those two games are probably the worst RPGs ever created), and everything else was pretty disappointing about it. Maybe GSC WASN'T so great after all, it was just a step ahead of RBY and RSE (a mile ahead of RSE). Anyway, that's my opinion on why GSC is considered the "best" generation by many. When Prof. Oak came in, I freaked out! I also loved the running! And the Day/Night thing! And the Kanto thing! Mainly everything! That's what I'm sayin', Blinded! GSC was perfect, they need to remake it.